After scheduling a comprehensive dental examination with Dr. Schweinfurth, we will start your appointment by taking digital x-rays and charting to ensure we provide the appropriate cleaning for each patient to combat the development of gum disease and tooth decay. These cleanings will be provided by our gentle and professional hygienist. We also provide important oral cancer screenings. As bacteria accumulates, plaque is formed and hardens into calculus. This results in inflammation, which if allowed to progress can cause gum disease. If left untreated, the supporting gum and bone deteriorates, leading to tooth loss. A professional cleaning (or prophylaxis) is necessary to remove all the debris, bacteria and deposits to help ensure a healthy oral cavity and halt the progression of gum disease. In addition, the removal of stains results in a brighter smile. Each patient will receive individualized oral hygiene instructions by both the hygienist and doctor based on their needs. It is important to schedule a routine cleaning and oral examination at least every six months to ensure there is no buildup of hard to reach bacteria responsible for gum disease, tooth decay and even chronic health conditions such as heart disease, stroke, obesity and diabetes. Our teeth contain deep pits and grooves on the chewing surfaces that can accumulate plaque even with diligent brushing and flossing. For our younger patients, dental sealants are a valuable treatment in helping to reduce decay. Dental sealants are tooth-colored acrylic coatings, effectively "sealing" the tooth enamel from harmful plaques and acids that cause cavities. Sealants can be applied rather quickly and last for several years. Fluoride provides protection against decay that is caused by acidic attacks from sugars and bacteria in the mouth. Fluoride is a naturally occurring element found in some food and water sources, which can help restore lost minerals to our teeth. Our professional fluoride treatments help protect against tooth decay by speeding up the remineralization process and therefore providing protection against acids in the mouth. Both children and adults may benefit from fluoride treatments by combating sensitivity and decay. Changes in adult mouths due to age, medications or health conditions can cause dry mouth. Dry mouth (Xerostomia) puts adults at high risk for decay, but our in office fluoride treatments can help reduce this danger. We want to make sure your teeth last even under the toughest conditions. Participation in sports can cause painful and damaging oral trauma without a properly fitted mouth guard. Mouth guards are also made to protect patients who suffer from night-time teeth grinding which can lead to tooth fractures. 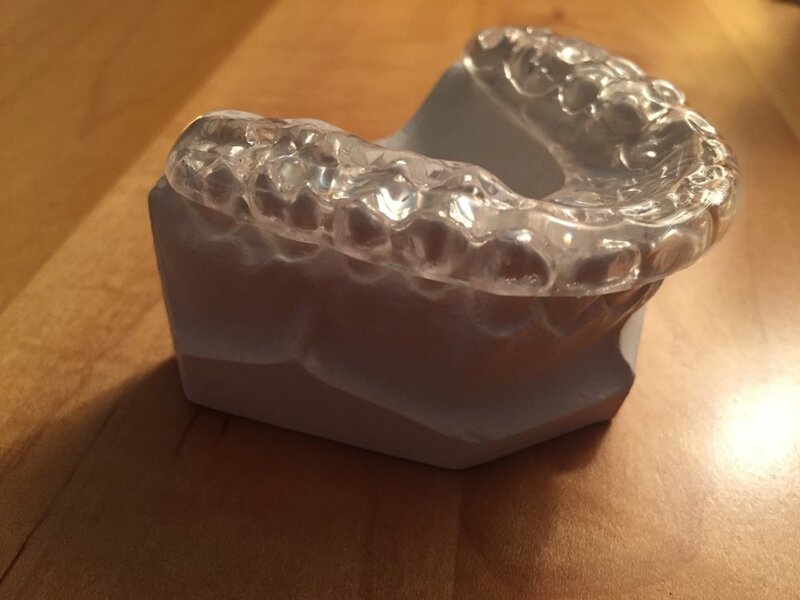 We fit our mouth guards using custom molds to ensure the best protection for your smile.